Ancient Wonders brings a wide variety of fascinating fossils and historical artefacts to life. can now be attractively displayed in your own home. and frames them so that they can be easily and effectively displayed. fossil fish etc are exactly alike. 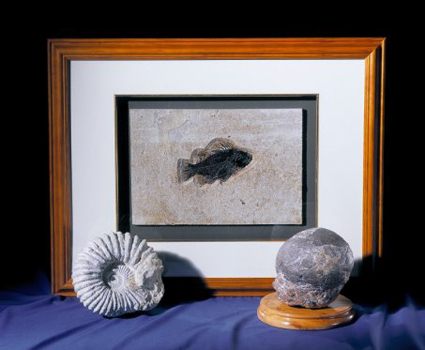 We sell our framed fossils and antiquities almost exclusively via craft fairs around the UK. an example at a show near you. Alternatively you are very welcome to visit us in Cottesmore, Rutland.